of the world’s most passionate and sensual dance. authentic argentine tango providing you with a full experience, Buenos Aires Style. Embrace the Argentine Culture in its truest form, as you take your first tango steps with us! At our Tango Academy we will teach you from scratch to be on the right track, and you will quickly become a great social dancer! Join the Tango Party and Let’s get started! 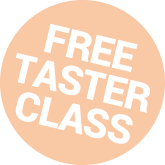 Complete the form at the bottom of the page to book your free tango taster for absolute beginners. Our Tango Beginners Classes are held every Thursday and Saturday, in top selected venues, conveniently located in Central London. *Available only for new students to our Academy and absolute beginners level.